Are you sick and dont know it? There are 92 documented symptoms of ASPARTAME, from coma to death. The majority of them are all neurological, because the ASPARTAME destroys the nervous system. ASPARTAME Disease is partially the cause to what is behind some of the mystery of the Dessert Storm health problems some of the soldiers are experiencing. 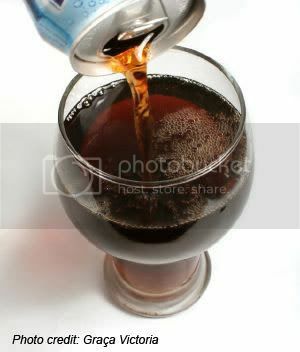 The burning tongue and other problems discussed in over 60 cases can be directly related to the consumption of an ASPARTAME product. Several thousand pallets of diet pop were shipped to the Dessert Storm troops. (Heat can liberate the methanol from the ASPARTAME at 86 degrees F). Diet pop sat in the 120 degree F. Arabian sun for weeks at a time on pallets. The service men and women drank this diet pop all day long. All of their symptoms are identical to ASPARTAME poisoning. You may have never knew about the fact that aspartame can poison. This is in no small part because the diet industry is worth a ton of money to some big name companies, and they want to protect thier income even if it means your health! When nutrasweet came to market for the second time in 1981, a new diet craze was born and low carb was the rage. The money started to pour in for artificial sweetners and there was a niche market ready to be marketed to. The 1976 Groliers encyclopedia states cancer cannot live without phenylalanine. Aspartame is 50% phenylalanine. * Behavioral changes observed after intake of aspartame flavored foods and drinks are moodiness, nausea, hallucinations, seizures, twitching, abnormal breathing, and depression. How does this happen? When Aspartame, is synthesized from the amino acids, Phenylalanine, and Aspartic Acid, in the presence of methyl alcohol, amino acid imbalances immediately result causing interruption of the normal neurotransmitter metabolism of the human brain. The amino acid neurotransmitter Tryptophan is less available for its known action for optimal brain serotonin levels. This in turn arouses systemic hypertension, insomnia, hyperactivity, general contraindication to those taking the medications levodopa or monoamine oxidase inhibitors. The structure of aspartame seems simple, but what a complicated structure aspartame really is. Two isolated amino acids in aspartame are fused together by its third component, deadly methanol. In this structure, methanol bonds the two amino acids together, but when released at a mere 86 degrees Fahrenheit, the methanol becomes a poisonous free radical. Diet pop, over-the-counter drugs & prescription drugs (very common and listed under "inactive ingredients"), vitamin & herb supplements, yogurt, instant breakfasts, candy, breath mints, cereals, sugar-free chewing gum, cocoa mixes, coffee beverages, instant breakfasts, gelatin desserts, frozen desserts, juice beverages, laxatives, milk drinks, shake mixes, tabletop sweeteners, tea beverages, instant teas and coffees, topping mixes, wine coolers, etc. Also, some drug and supplement manufacturers are allowed to avoid listing aspartame on the label if they state the words, "contains phenylalanine". Why Diet Pop and Colas make you fat and sick . Many times people come in to train with me and ask what can I do to lose weight? One of the very first questions I ask is - Do you drink diet pop? Effective weight loss starts with diet changes and exercise , one of the first changes is to stop drinking all diet pop all colas , all carbonated beverages - including diet pop , which is the worst . Get the Aspartame out of your diet ! Why? Diet pop is very acidic, with a pH of 1.5 to 2.5 - that is 100,000 times more acid that your body wants to be. Aspartame has a pH of 1.5! All life dies at a pH of 4.5. Because of this your body creates fat cells to store the extra acid or in this case Aspartame. This is why people who drink diet pop just get fatter. Your kidneys are the prime pH balancing organs in your body. The body wants to have a general pH of about 7. So when you drink pure water with pH of about 7 or a little higher - you are balancing the pH in your kidneys, and balancing the general pH in the body. When the pH is right the body can release and dispose of stored acids, which are filling the fat cells. This why some clients have had such drastic weight reductions in such a short amount of time, just drink water. Why is pH so important? If your PH is correct you will have a much less chances of contracting a chronic condition , such as cancer , arthritis , or even the common cold . There is a direct correlation between pH and your immune system. The Immune system works at its most optimal level, when the body pH is 7.0 - or slightly alkaline. So when you drink just one diet pop - you drive your pH down, shutting down the immune system, and setting yourself up for a disease to take hold . Drink just one diet pop or cola, you will then have to drink 32 glasses of water with a pH of 7 or more to balance your pH . Scientists have found that healthy people have body fluids that are slightly alkaline, 7.1 to 7.5 pH. Scientists and doctors have also found that over 150 degenerative diseases are linked to acidity, including cancer, diabetes, arthritis, heart disease, gall and kidney stones, and many more. All diseases thrive in an acidic, oxygen poor environment. Keep in mind that a drop in every point on the pH scale is10x more acidic than the previous number--i.e. from 7 to 6 is 10x, from 7 to 5 is 100x etc. From 7 to 2 is 100,000x more acidic, colas are in the approximate 2.5 pH range. Almost no soda(pop) is higher than 3.0. Diet sodas are the worst as they have the highest acid content. Actually diet sodas cause you to gain weight because they alter the blood chemistry, making changes in your metabolism, leading to a slower metabolic rate. The best liquid to drink is water. Most degenerative diseases we call "Old-Age Diseases" like memory loss, osteoporosis, arthritis, diabetes, hypertension, and many more are actually life style diseases caused by acidosis, the lack of supplements, what acids we ingest, what nutrients we don't ingest, or toxins we don't properly eliminate. Extract from: The WORLD ENVIRONMENTAL CONFERENCE and the MULTIPLE SCLEROSIS FOUNDATION. When the temperature of ASPARTAME exceeds 86 degrees F, the wood alcohol in ASPARTAME coverts to formaldehyde and then to formic acid, which in turn causes metabolic acidosis. (Formic acid is the poison found in the sting of fire ants). The methanol toxicity mimics multiple sclerosis; thus people were being diagnosed with having multiple sclerosis in error. The multiple sclerosis is not a death sentence, where methanol toxicity is. In the case of systemic lupus, we are finding it has become almost as rampant as multiple sclerosis, especially with Diet Coke and Diet Pepsi drinkers. Also, with methanol toxicity, the victims usually drink three to four 12 oz. Cans of them per day, some even more. On the other hand, in the case of those diagnosed with Multiple Sclerosis, (when in reality, the disease is methanol toxicity), most of the symptoms disappear. We have seen cases where their vision has returned and even their hearing has returned. This also applies to cases of tinnitus. 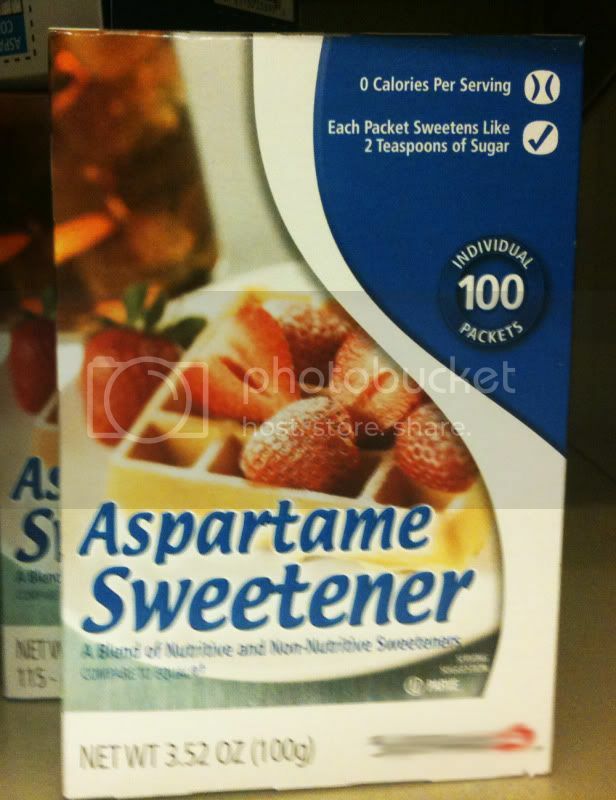 If you are using ASPARTAME (NutraSweet, Equal, Spoonful, etc.) and you suffer from fibromyalgia symptoms, spasms, shooting pains, numbness in your legs, cramps, vertigo, dizziness, headaches, tinnitus, joint pain, depression, anxiety attacks, slurred speech, blurred vision, or memory loss-you probably have ASPARTAME DISEASE! ASPARTAME changes the brain's chemistry. It is the reason for severe seizures. This drug changes the dopamine level in the brain. Imagine what this drug does to patients suffering from Parkinson's Disease. This drug also causes Birth Defects. There is absolutely no reason to take this product. It is NOT A DIET PRODUCT!!! The Congressional record said, "It makes you crave carbohydrates and will make you FAT". Dr. Roberts stated that when he got patients off ASPARTAME, their average weight loss was 19 pounds per person. The formaldehyde stores in the fat cells, particularly in the hips and thighs. According to the Conference of the American College of Physicians, 'We are talking about a plague of neurological diseases caused by this deadly poison". Dr. Roberts realized what was happening when ASPARTAME was first marketed. He said "his diabetic patients presented memory loss, confusion, and severe vision loss". At the Conference of the American College of Physicians, doctors admitted that they did not know. They had wondered why seizures were rampant (the phenylalanine in ASPARTAME breaks down the seizure threshold and depletes serotonin, which causes manic depression, panic attacks, rage, and violence). I assure you that MONSANTO, the creator of ASPARTAME, knows the dangers. They fund the American Diabetes Association, American Dietetic Association, Congress, and the Conference of the American College of Physicians. The New York Times, on November 15, 1996, ran an article on how the American Dietetic Association takes money from the food industry to endorse their products. Therefore, they can not criticize any additives or tell about their link to MONSANTO. Dr. Roberts says "consuming ASPARTAME at the time of conception can cause birth defects". The phenylalanine concentrates in the placenta, causing mental retardation, according to Dr. Louis Elsas, Pediatrician Professor of Genetics, at Emory University in his testimony before Congress. Stevia, a sweet food, NOT AN ADDITIVE, which helps in the metabolism of sugar, which would be ideal for diabetics, has now been approved as a dietary supplement by the FDA For years, the FDA has outlawed this sweet food because of their loyalty to MONSANTO. If it says "SUGAR FREE" on the label-DO NOT EVEN THINK ABOUT IT !!! Stevia is an herb that has been used as a sweetener in South America for hundreds of years. It is calorie - free, and the powdered concentrate is 300 times sweeter than sugar. Is widely used all over the world. In Japan, for example, it claims 41% of the sweetener market, including sugar, and was used in Japanese Diet Coke until the company replaced it with aspartame to "standardize" worldwide. There have not been any reports of toxicity with Stevia, which is consumed by millions of people daily. What to do if you think you have aspartame poisoning? Here is a link to a page with a list of vitamins, herbs and minerals with the dosages to take to counter and cleanse the effects of aspartame. Diabetic Association." HUMAN NUTRITION:APPLIED NUTRITION 1982;36A:378. Wurtman R, "Aspartame effects on brain serotonin. AM J CLIN N, 1987; 45:799- 801. Wurtmnan R, "Neurochemical changes following high-dose Aspartame with dietary carbohydrates. N ENG J MED, 1983; 389: 429-430. Wurtman R, "Aspartame: Possible effect on seizure susceptibility. LANCET, 1985; 2: 1060. Walton R, "Seizure and mania after high intake of Aspartame." PSYCHOSOMAT, 1986; 27: 218-219. Council on Scientific Affairs. "Aspartame: Review of safety issues." J AM MED, A 1985; 254:400. Young S, "Some effects of dietary components(amino acids,carbohydrate, folic acid) on brain serotonin synthesis, mood, and behavior." CAN J PHYSL PHARM, 1991; 69: 893-903. Aspartame should be taken in moderation to avoid poisoning.